Schnitzelburg was hit with the blues this weekend, and we aren’t referring to the neighborhood falling under a blanket of melancholy and sadness. Check’s Café presented the 4th Annual Germantown Schnitzelburg Blues Festival at the corner of Hickory and Burnett Streets on May 31st and June 1st. 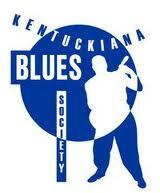 The two-day event featured bands from around the region, including the River City Blues Band, King Sonic, the Gordon Bonham Blues Band, The Jaywalkers, Mr. Jimmy, and Lamont Gillespie and 100 Proof. Luckily, the weather cooperated and the rain held off both days for the festival. The free event had Schnitzelburg packed with people of all ages enjoying the wonderful music. Many people flooded into to the street to dance solo or with a partner. It looked as though some people had been practicing their moves! Since blues and bourbon seem to go hand in hand, it was no surprise that Wild Turkey signed on as one of the event sponsors this year. Of course, cold beer was flowing and the grills were stacked with meat. Saturday, the Grind Gourmet Burger Truck and Fair and Square food truck showed up to provide additional deliciousness for festivalgoers. 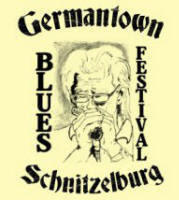 Schnitzelburg is so very excited to have the blues festival call us home and we welcome everyone who was in attendance. This is a great time for the neighborhood to shine and we believe it did just that! A portion of the proceeds went to the Society of St. Vincent de Paul.